Yoko Ozawa rides her bike to Northcote Pottery, and rides home with a 5-kilogram bag of clay. Placing the clay on the table next to her throwing wheel, Yoko sketches small shapes in a notebook alongside recipes for glazes. Yoko prepares a ball of clay, kneading it to release pockets of air. This is the beginning of a relationship with the clay. Different clays have unique temperaments. While some clays are happy to be beaten, mashed and squeezed into large figures, other clays require a more delicate touch and sensitivity but enjoy spinning on the wheel being pinched and caressed into shape. Learning how to work with the clay’s personality takes time and a lot of touch. After placing a cone of clay in the centre of the wheel, Yoko pushes the pedal with her foot to start the clay spinning. 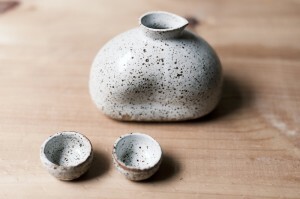 Yoko’s fine fingers and focus of mind allow her to throw very thin walls that rise to form traditional Japanese teapots, small trees and other vessels for domestic use or wonder. Yoko stamps her initials on the bottom of each piece and the raw objects dry together on her wooden shelves before meeting up with other Northcote locals for a bisque firing. They return home, get a treatment of glaze and return for a final stoneware firing. Finished pieces come home and rest in different parts of the house. One wide black vessel (Moonlight vase) with a second internal wall sits by a window and at night reflects the light and image of the sky and moon outside. Yoko’s tree vases gather en masse to create a forest on the dining room table. A small green insect passes by to inspect the lovely curve of a stump teapot. 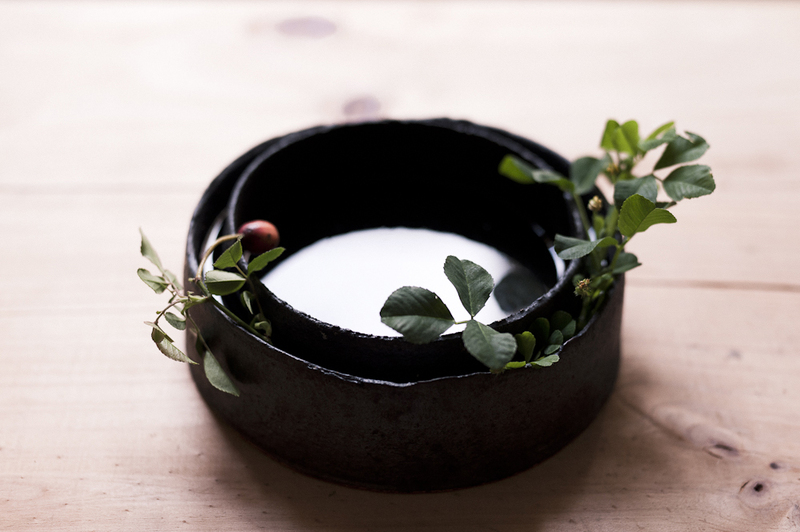 Yoko delights in these collaborations with nature. 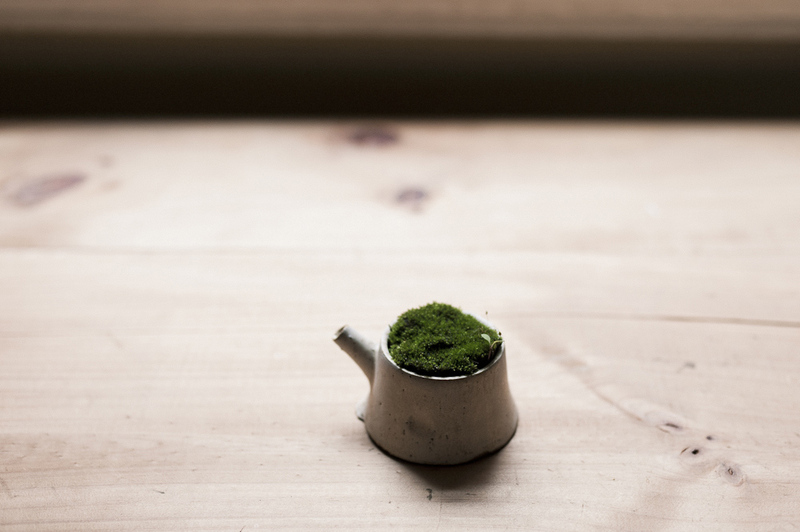 Plants or moss outside are welcomed inside to mingle with her creations. 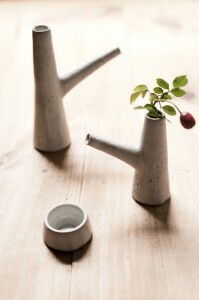 Recently her work has taken its shape from the bantam chickens that dwell in her vegie garden. 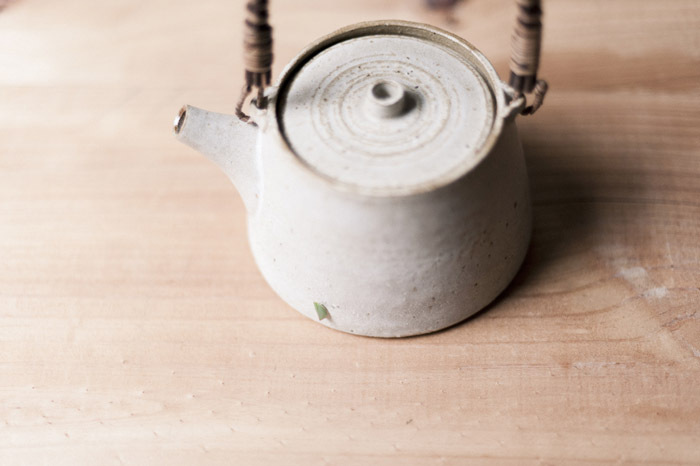 Yoko’s work can best be enjoyed with a cup of tea or some onigiri at Kappaya café at the Abbotsford Convent where an installation of her ceramic light shades hang permantly.